Orlando– You Can Do it Alone. I Swear. I decided to do Disney with the kids last minute after surviving the now infamous West Palm Beach disaster. When I called my husband to tell him our exciting plans his response was something along the lines of “Really? Are you sure?”. 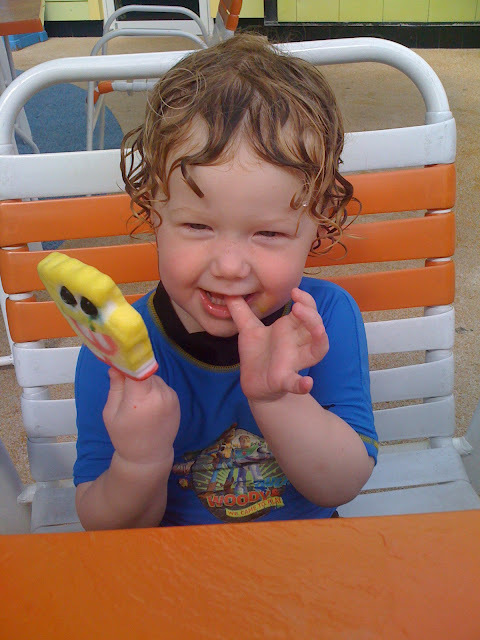 Luckily I had my adventurous co-captain Will along for the ride and his two year old enthusiasm was enough to convince me to head to Orlando. Instead of staying at Disney we decided to stay at the Nickelodeon Hotel. There were a few reasons for this decision. The first being that my kids were far more excited about the prospect of Dora the Explorer being at the hotel than any Disney Princess (this has since changed). Also it was at least $100 US less a night than staying at Disney. 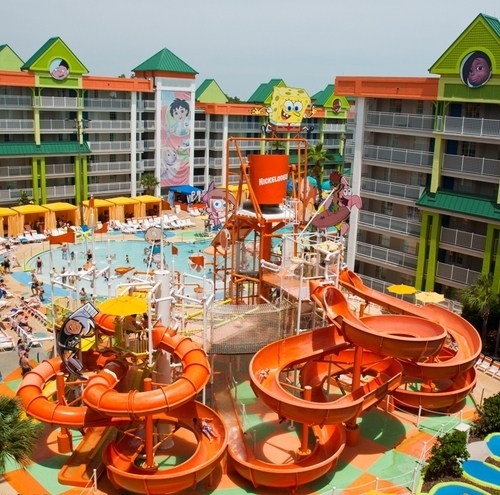 Lastly, it has a huge water park and kids pools. We arrived at the Nick Hotel late in the afternoon after stopping at the Manatee Observation and Education Center, a not to be missed chance to see manatees in the wild. I was exhausted and it was nearly dinner time. Luckily the check-in at the Nick Hotel was quick and we were on our way. My review of the hotel is simple. 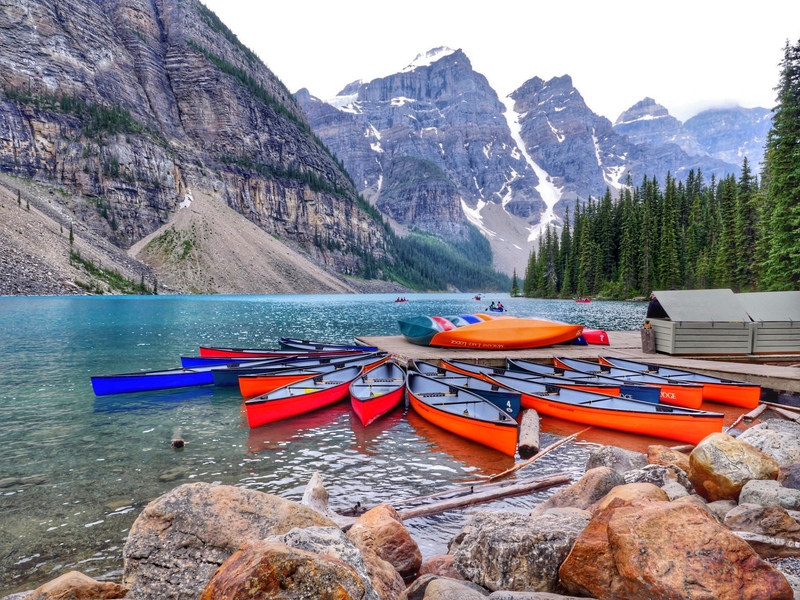 It is awesome and not in a Four Seasons kind of way. The hotel in fact looks like a run-down holiday inn. Why? Because that is what is was when Nickelodeon teamed up with the hotel chain in 2004 to create the Nick Hotel. The great part is that it doesn’t matter because your kids will love the hotel so much that they will be exhausted by bed time. On our first night, we were lucky enough to have room service drop by with surprise Spongebob cupcakes and milk before bedtime thanks to the wonderful bellman who had helped me to our room (see its not so bad). My one piece of advice in regards to the room is not to spend extra money on a character room. We were upgraded to a character suite and in reality the kids didn’t even notice. Essentially it means you have a character painted on the wall. 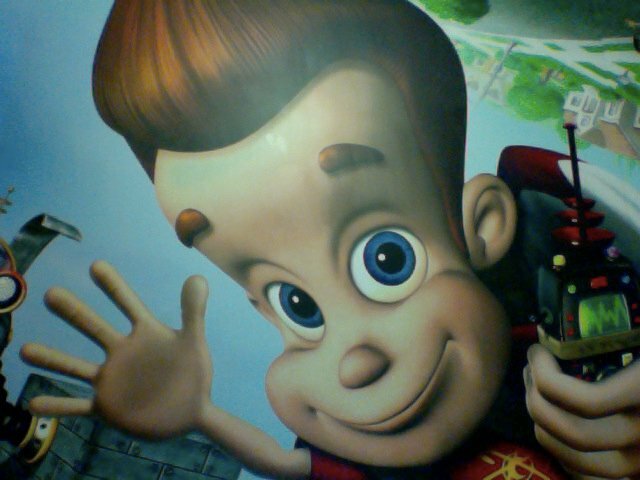 Ours was Jimmy Neutron I believe. The next morning, we woke up bright and early and attended the character breakfast before hitting the pool. The character breakfast was amazing. 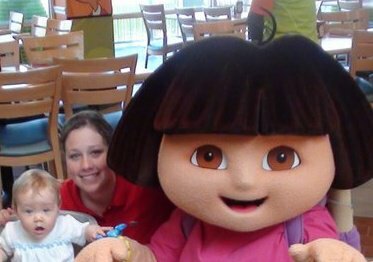 It was my daughter’s first encounter with Dora and they made fast friends while Will hid under the table. By day 2, he was comfortable enough to see them from a far but hugging was off-limits. I am embarrassed to admit it but we went to the character breakfast 4 days in a row. By the last day, Will actually knew the dance routine. It was an hour each morning where I wasn’t their sole source of entertainment and I loved it. The pools at the hotel are incredible. There is a main pool with water slides and a giant bucket for “mass slimings”. The lifeguards were quite attentive and one even swam with Will for a little while so I could change Charlie and feed her. Our memories of the Nick Hotel are wonderful and we have since returned to the property with equally great results. Because we were not staying at a Disney hotel we had to drive to the parks. This wasn’t a big deal for me and I don’t think it would really affect your trip if you chose to stay off Disney property. The one advantage to this was that we had a kitchen at Nickelodeon and were able to cook our own food. Disney has similar suites but from what I have seen most people buy the dining plan. I have since stayed on Disney property and was not very fond of the food or the dining plan. As we pulled into Disney, I was a little apprehensive about my decision to go it alone. I became even more so when I pulled into the parking lot and saw the tram that we would need to ride to get to the monorail to get to the park. I very kindly told the parking attendant that I was travelling alone with a toddler and a baby and hoped he could help me. This is the exact moment where the magic of Disney began. The parking attendant smiled at me and kindly said “follow the pink line”. At least I think it was pink. I then was ushered past many parking attendants to a section behind the disabled parking lot that was for parents of small children. I thought this secret parking lot was strange as almost everyone would have small children but I left it at that and began to unload. Due to the fact that I was so close, I no longer needed to worry about my double stroller and the tram. To make things even more magical, another parking attendant walked me to guest services where I was told that I could enter rides through the back for assistance with my stroller since I was alone. We were at the Animal Kingdom and used this service on many rides including the main safari where a park worker actually accompanied me on the train to the other side of the safari and helped me unfold the stroller and get off the train. Don’t over do it. You may not make it to the fireworks but that’s okay. Know when you are too tired and when they are too tired and head home. By tomorrow, they will only remember the fun they had and not the fact that they didn’t ride It’s A Small World a 13th time. 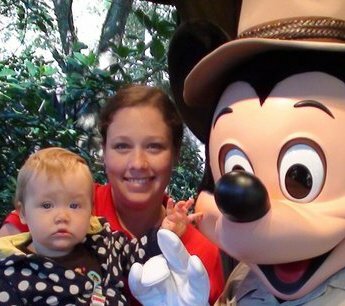 Disney is a wonderful place and you will feel safe there with your children. Use whatever tools you would use to get them around in a big city and be prepared for laughter and tears along the way. Oh and say hi to Mickey for me. Once you are, as my dad used to say, Disneyed-out or for a break in between, I highly recommend visiting Legoland. It is about a 45 minute drive from Orlando to Legoland but it is worth it. I honestly preferred it to Disney for a number of reasons. First, there are far less people there. It is still busy but not Disney busy. People are also far less pushy. The park has a ton of Duplo playgrounds that are shaded and air-conditioned so you can take a break without your kids knowing that you are. Also, the rides are tailored to younger children and most three year olds can ride a majority of the rides. That being said the rides are actually bigger and more fun than they are at Disney. 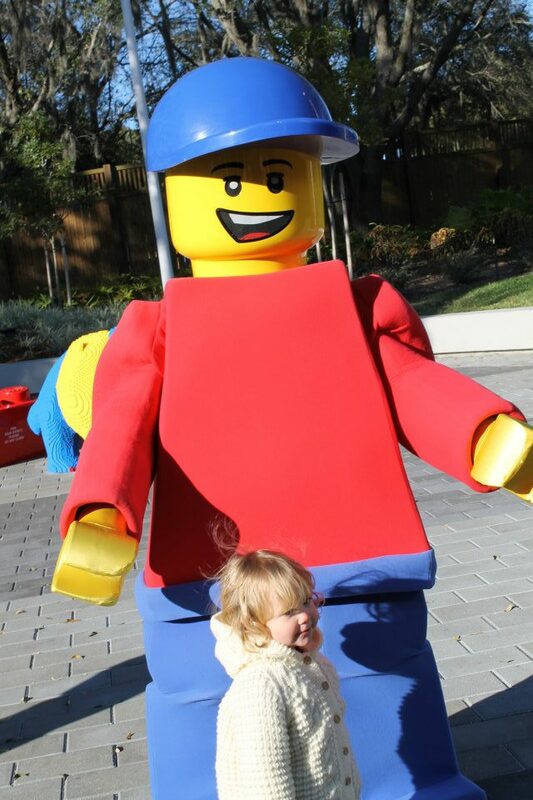 I was with four adults and our two children when we visited Legoland and I kept looking around and thinking about how easy it would have been to visit alone with the two kids. 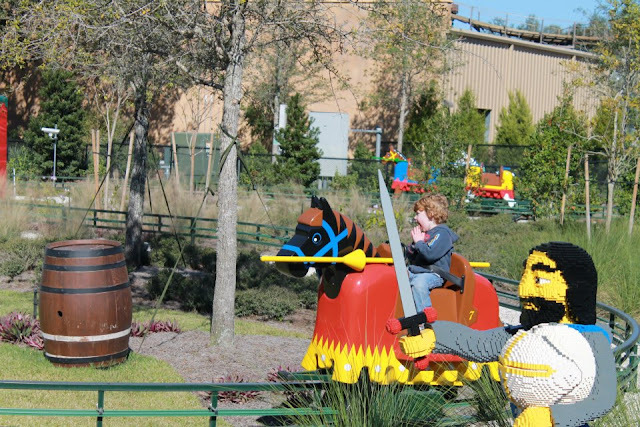 A good tip is that once you have been to Legoland you can get your ticket stamped for $10 US to return again within a two-week period. We took advantage of the second-day deal and went back a few days later. No matter where you are in Orlando my best advice is to relax. There is no real rush to do anything. The rides will be open all day and the shows and parades happen numerous times a day. Lastly, take the time to witness how magical Disney is in the eyes of your children. It is something you will never forget.